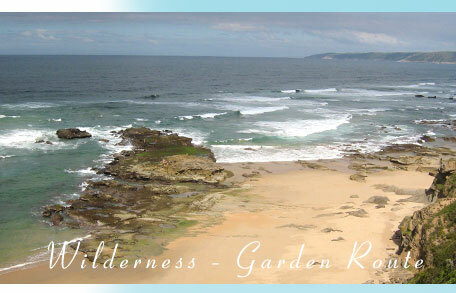 Garden: There are many areas in this large garden where one can sit under the trees and enjoy the birdlife. Private patio: leading off living room into the garden. Breakfast can be taken outside, your colleagues entertained or you may choose to work outside in the clean fresh air of this coastal paradise. Welcome to “my piece of paradise”. A visit to Seagull’s Flight is a truly unique experience, situated on the edge of majestic cliffs, overlooking the Indian Ocean. 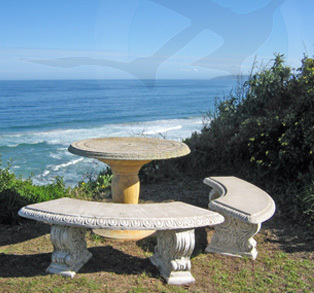 Breathtaking views over the sea, watch the seagulls soar over a blue ocean while you enjoy your morning coffee or tea. At the end of a long day, relax with a sundowner on the edge of the cliff as the sun goes down in a blaze of colour over the warm Indian Ocean or the headlands depending on the time of year. Business travelers are especially welcome to this beautifully appointed luxury seaside suite, with superbly appointed living room, double bedroom and en-suite bathroom, private patio in a large garden with groves of indigenous trees. Many varieties of birds frequent the feeding platforms in the trees. Private entrance. Wireless ADSL internet access, satellite TV, HI-FI with CD shuttle, fine linen and every comfort to make your business trip a pleasure. A health breakfast is provided for you to enjoy at your leisure. Fall asleep with the sound of the waves crashing on the beach below. Secure parking.